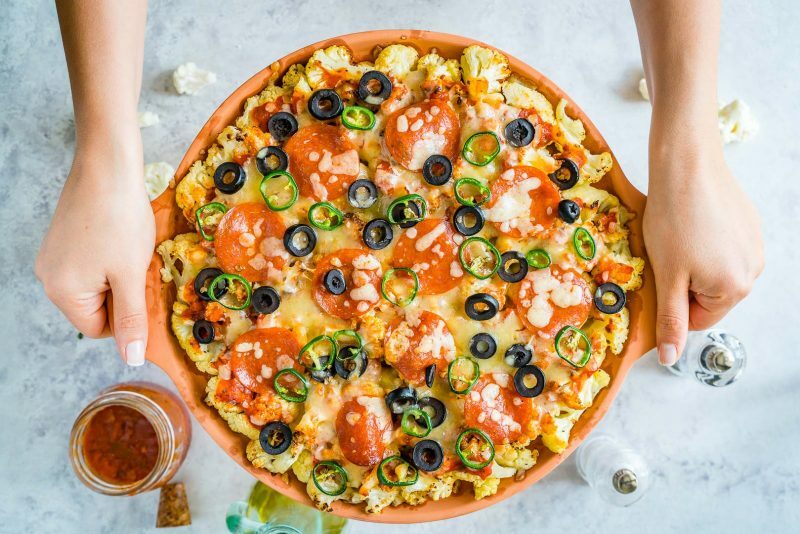 This Clean Eating Cauliflower Pizza Bake is the BEST Creation! You guyyssss….THIS is crazy-tasty and delicious! 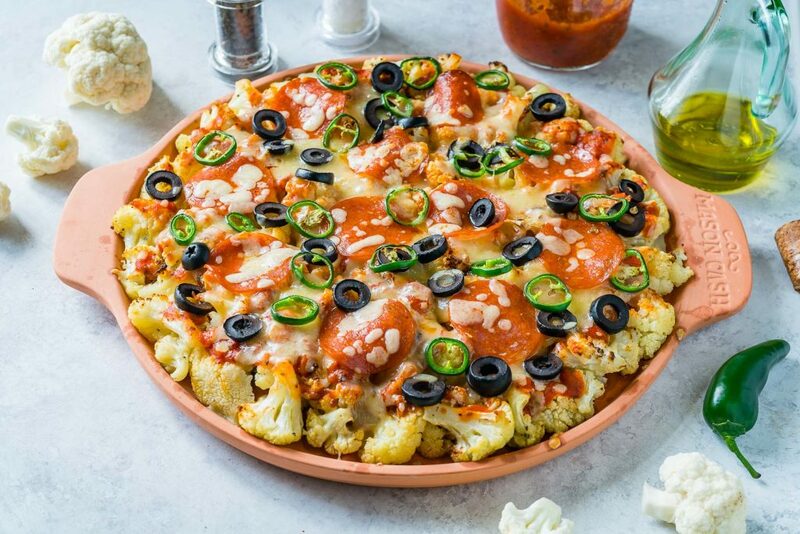 So much simpler than trying to create perfect cauliflower crust. 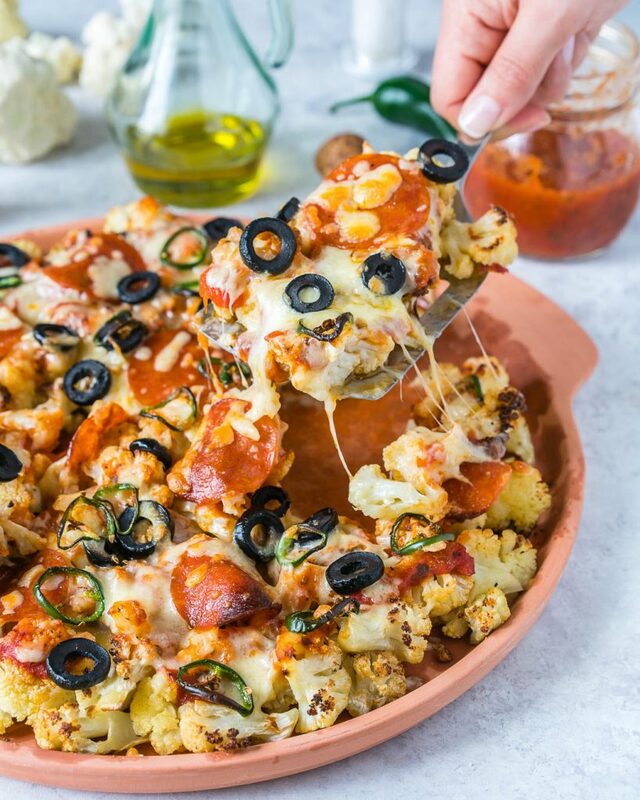 Almost more of a “casserole” type meal…but seriously hits the spot as far as Pizza cravings are concerned! 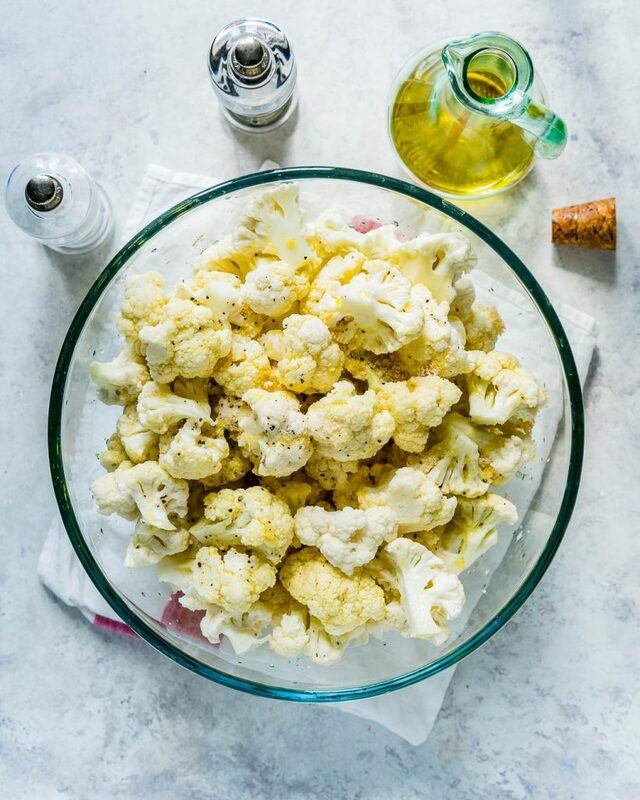 In a large bowl, toss the cauliflower florets with oil, garlic powder, sea salt and pepper. 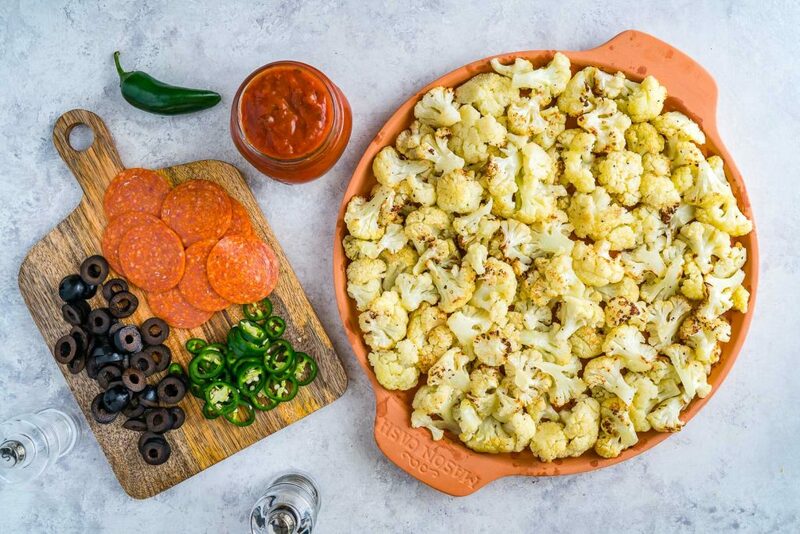 Spread cauliflower out evenly on the tray. Once done, transfer to a round pizza tray (or casserole) and arrange pieces close together so you’ve got one nice layer. 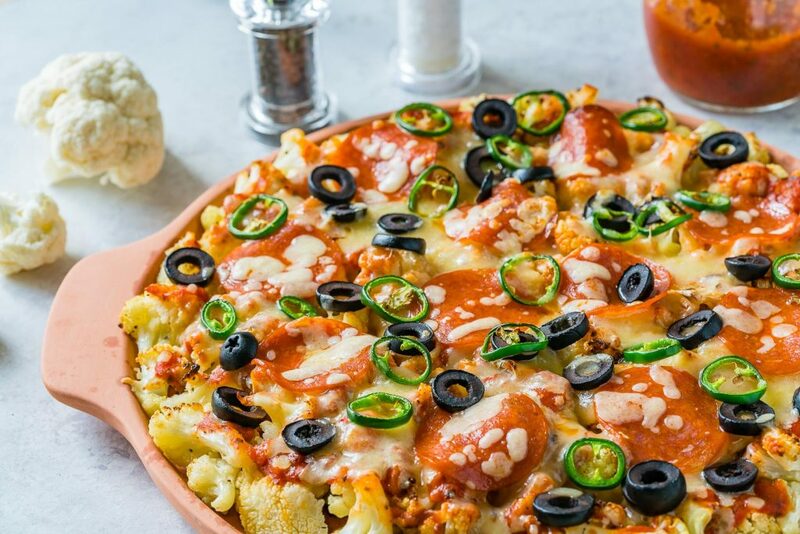 Spread marinara sauce on top and add the mozzarella, pepperoni, olives and jalapeño. Bake for an additional 10-12 minutes until crispy, and melty. A FUN option for those who are gluten intolerant, or watching carbs! Once done, transfer to a round pizza tray (or casserole) and arrange pieces close together so you've got one nice layer.